Lisbon was the final destination in our 14-week stay in Europe. 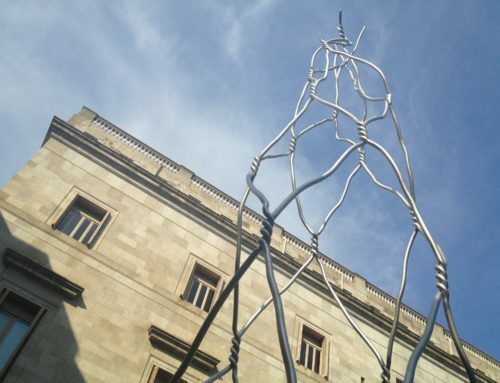 Compared with busy Barcelona, it was a more relaxing city to explore, with interesting neighborhoods, tasty dining options, and lots of statues. Our visit to the Belem neighborhood started a little sketchy but ended well. After a round about train ride and vending machine lunch, we found what we were looking for. 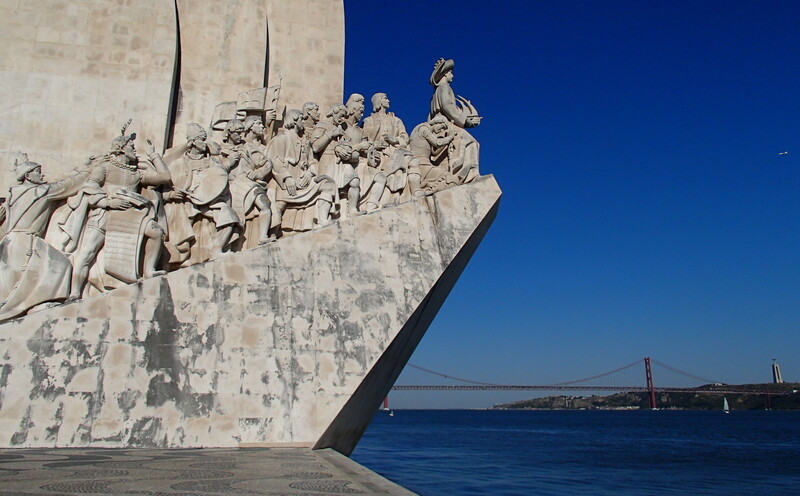 Belem is a historic neighborhood near the Tagus River. 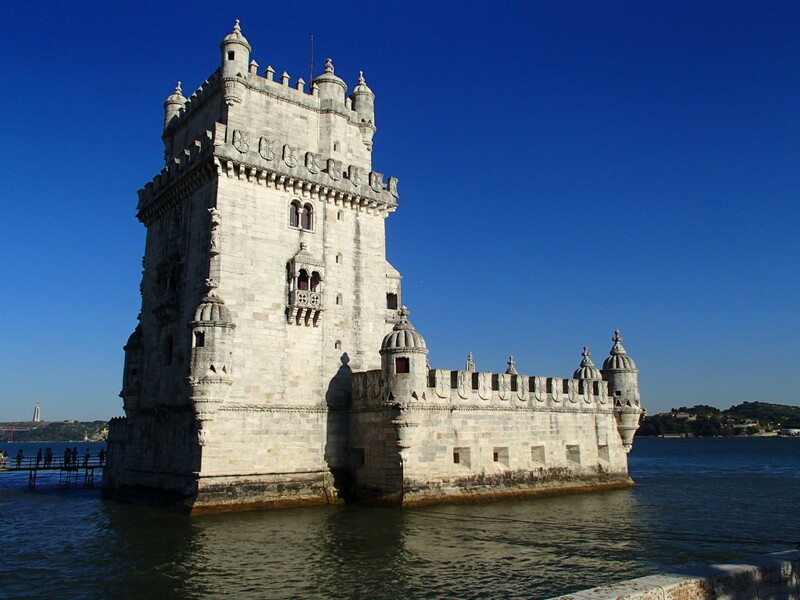 Along the riverfront, there are shipping docks, the electricity museum, a few restaurants, and UNESCO world heritage site the Belem Tower. A few blocks up from the river is the Jeronimos Monastery, Berardo Museum, a nice park, and several streets with shops and cafes. To get to Belem, we took two metros and then bought a ticket for the train. As we rode the train along the river, we passed by a station but couldn’t see the sign because of the speed. Then we saw a tower and cool statue and Lori started to wonder if the stop we passed was Belem. She convinced Michael to get off at the next stop and figured we could walk back. We got off the train and Michael had second thoughts, so we waited and got on the next train. After two stops, Lori thought we had gone too far, so we got off near a small beach area with unexciting outdoor cafe. By then we were getting hungry and hot. We went back to the train stop and checked route map – Lori’s spidey sense was correct – the train had passed our stop without stopping. So, we got on the train going back and crossed our fingers that it would stop at Belem – it did – hooray. We walked to the river – and only saw some docks – no monuments or restaurants. By then we were super hungry and hot. After a few minutes, we ran into the electricity museum, which had a cute outdoor restaurant (which seemed closed) and small enclosed building with lockers, restrooms, and air con. We went inside, sat on the bench to cool off, and had a gourmet lunch of vending machine sandwiches. Then we set off again in the other direction, and after a ten minute walk, we found all the good stuff. Ciado and Barrio Alto are some of the older parts of the city and known for shopping, cafes, and nightlife. 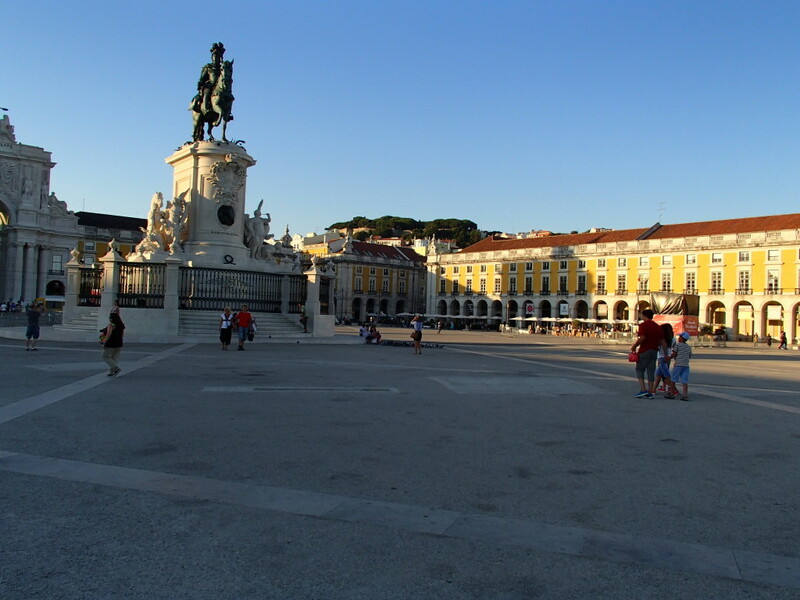 A walk down the pedestrian shopping street, Rua Garrett, toward the river ends in the grand Terreiro do Paço square with elaborate arch and giant statue. This is where we found Museo du Cerveja (see Eating and Drinking section below). Alfama is the old, Medieval, part of Lisbon, and was Lori’s favorite neighborhood. We wandered through the narrow streets and stairways, up steep hills and saw flats, shops, cafes, and the cathedral. 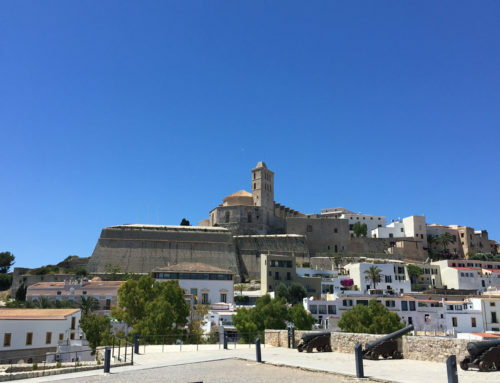 At the top of the hill, St George’s Castle looked down on the city. 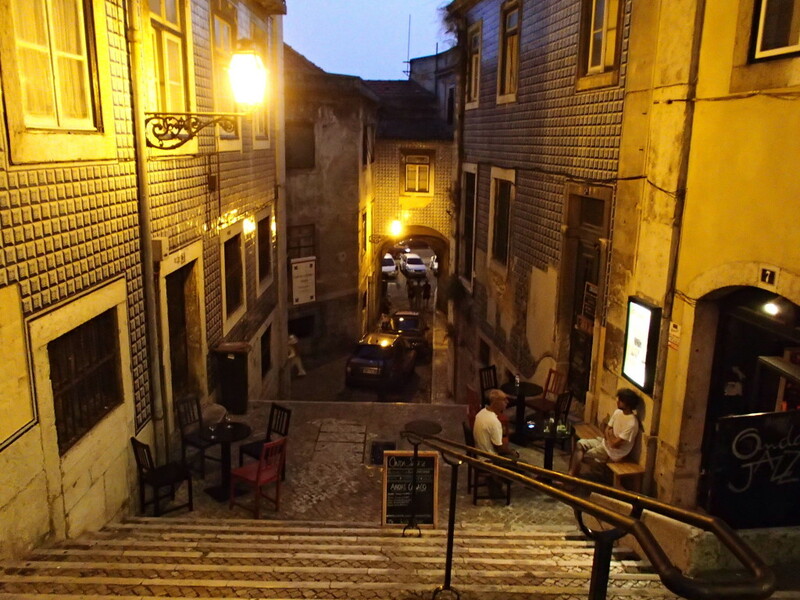 Alfama is a good neighborhood to listen to Fado (see Fado section below). Regretfully, we didn’t make it to any museums, but intended to visit the National Tile Museum, Berardo Museum, and Gulbenkian Museum. We got to Berardo just as it closed, but had a chance to grab a drink at the very cool lounge and browse the awesome gift shop. Spain has Flamenco; Portugal has Fado. I like how Go Lisbon describes the music, so I will quote from their website. “The intensely melancholic songs are usually about love, woes, and pains, or express sadness and longing for things that were lost or that were never accomplished.” As we strolled around the Alfama neighborhood one night, we heard live Fado in many of the small restaurants and bars. We grabbed a drink at a plastic table outside Tasca do Jaime D’Alfama and listened to a female singer. 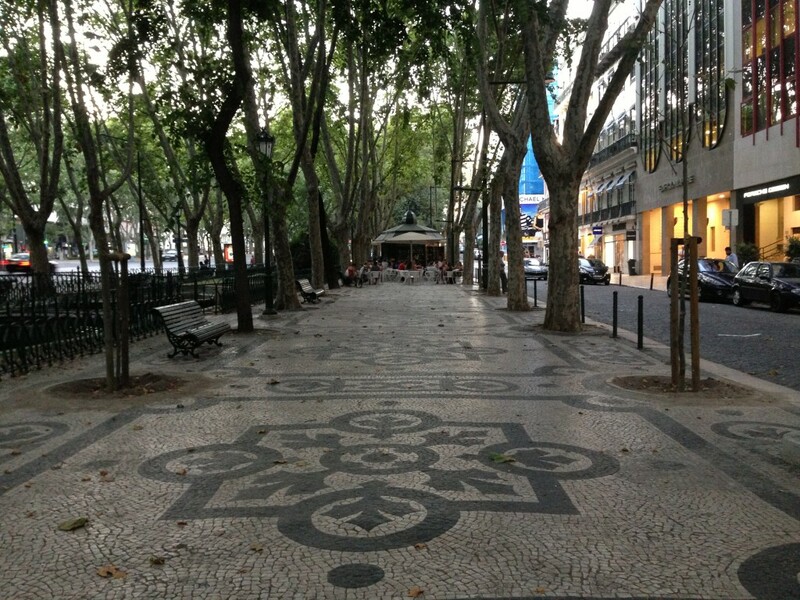 We checked out two shopping areas: Avenida Liberdade and Chiado. Avenida Liberdade happened to be two blocks from our hotel. It is a wide boulevard with high end brands like Channel and Louis Vuitton. There are charming tree-lined pedestrian areas with tiled sidewalks and outdoor cafes. One of the cool shops, Fly London, is an international shoe / accessory chain. 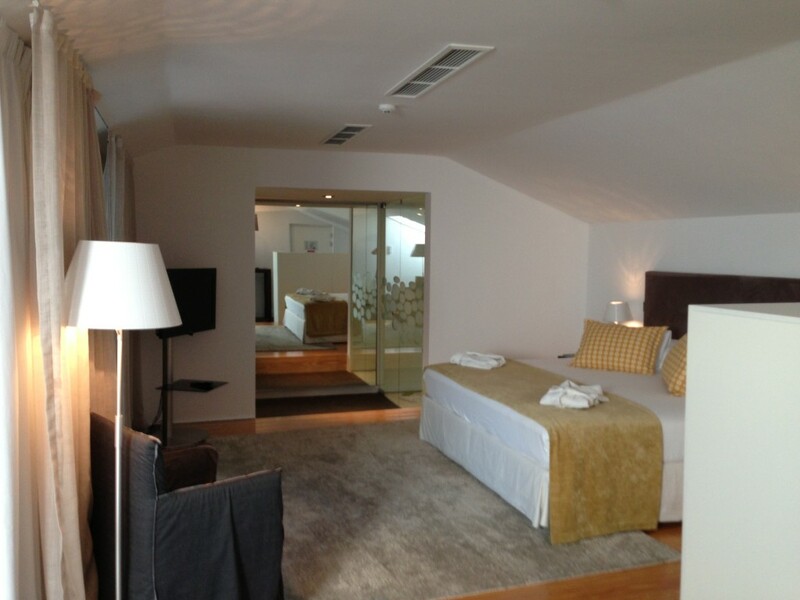 The Chiado neighborhood has local and international stores, wine shops, and a mall with food court. Some of the stores have interesting facades, like Tous’ art nouveu look and a local shoe store with a tiled front door. We window shopped the beautiful ceramics and porcelain at Vista Alegre. Take away: Whenever there is the opportunity, we like to do take away for dinner so we can eat in our grubbies and watch movies. In Lisbon, we lucked out – there was an awesome no-frills take away / restaurant, Restaurant Chu Chu, across the street from the hotel. The whole grilled chicken was so yummy! Burgers and cocktails: Also across the street from the hotel, Honorato is a hip, modern burger restaurant/bar that also does take away. 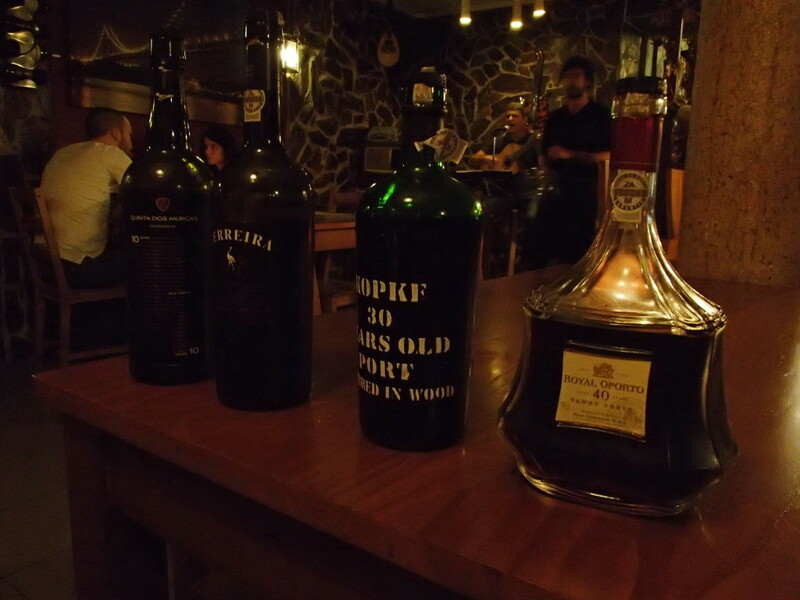 Wine bar and appetizers: We couldn’t visit Portugal without doing a port tasting. We researched a few wine bars and got a general idea of the locations. But we didn’t have cell service/GPS or an old fashioned map, so we kinda winged it. After getting off the metro, we walked two blocks and started getting hot, so we went to the first place we saw, Wine Lover BA, and what a great choice it was. We started with a few glasses of different Portuguese whites and then did a vertical tasting of four ports: 10, 20, 30, 40 year old, accompanied by a small dish of chocolate and raisins. For food, we had the giant Charcuterie plate with fresh fruit and a mushroom tart. 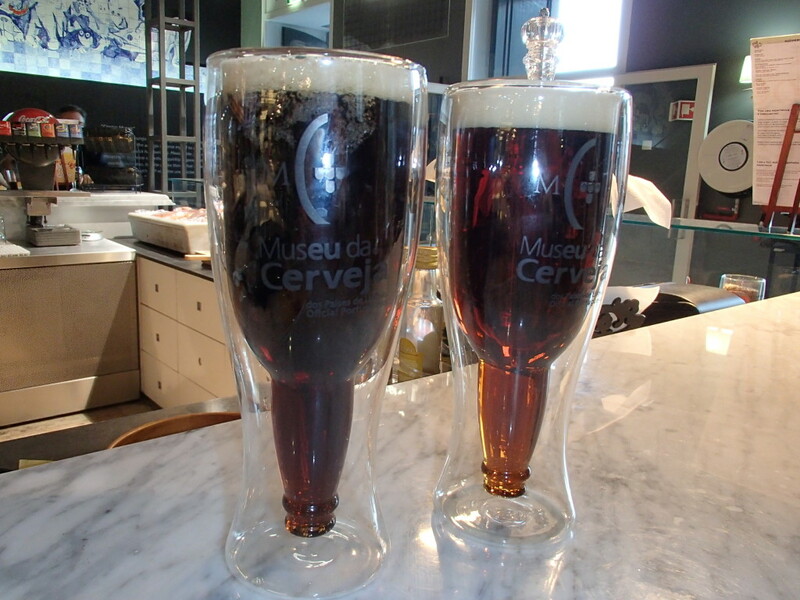 Beer: We stopped into Museo du Cerveja to cool off while exploring the Chiado neighborhood. The restaurant/bar/museum is in a giant square overlooking the river. We tried the preta and bohemia – a porter and amber – very yummy, and served in some of the coolest beer glasses we’ve seen. Airlines: We highly do NOT recommend EasyJet. Unlike the company name, our experience was anything but easy. Here’s why… EasyJet requires travelers to print their boarding pass in advance (a big pain when you are not at home). We didn’t pay for the extra check in baggage weight online in advance because we found that some airlines let us sneak through a few extra kilos. EasyJet is not one of those airlines. Also, the check in counter agents don’t process payments – they handwrite a form that you must take to another counter and pay, then come back to finish check in. Finally, the carry-on luggage practices are inconsistent. You know the little bin at the check in counter with the sign that says your carry-on bag must fit inside. 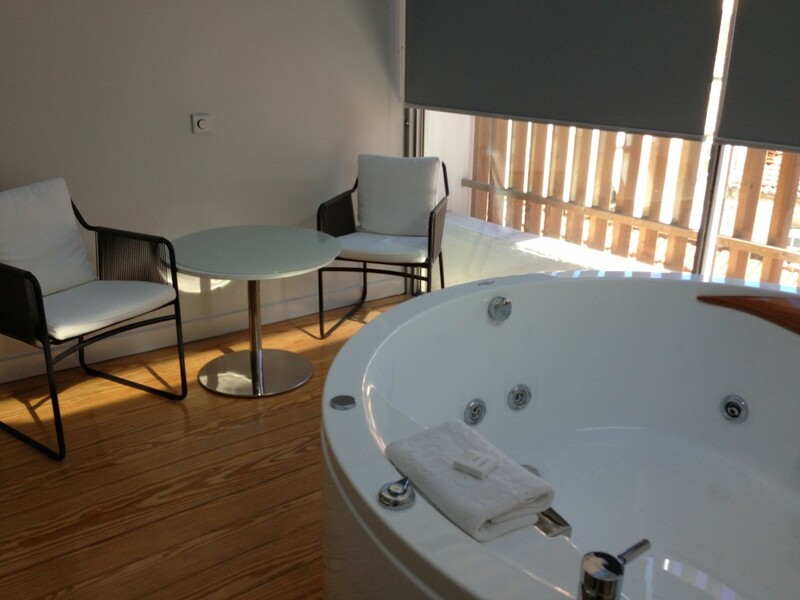 Well, the EasyJet bin was super small – super small – and the agent made some people put their bags inside to check. My carry on has a small backpack that unzips and detaches. I unzipped it and the main bag fit in the tiny bin. But the agent said I had to check it anyway because I could only carry on one bag. But, she said nothing about Michael’s two carry- ons – a wheelie and backpack – the exact same thing I had. Hmmm – did she not like me? I had to scramble to pull out valuables and cram them into my small backpack. When we got on the plane, I looked at the overhead bin and it was the same size as every other plane (except the small commuter planes) – way bigger than the tiny bin at the check in counter. What’s up with that?! We got on the plane feeling irritated and frustrated. Footwear: Wear comfortable, sturdy shoes that are easy to walk in. Some areas of Lisbon are very hilly. Some of the flat streets, like Avenida Liberdade, have uneven sidewalks. Also, many of the streets and sidewalks are tiled or cobblestone. 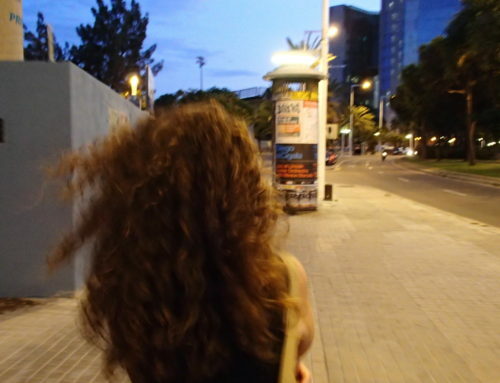 We fumbled through the Alfama neighborhood in flip flops and it wasn’t easy.